A small satchel bag can complement a petite woman’s figure well, providing a look that stands out from the traditional and utilitarian purse look. Satchels demonstrate a look that shows confidence and independence, helping the woman who may be smaller in size to stand out. It also creates a professional and secure look, allowing the petite woman to accessorize with any type of trendy outfit. 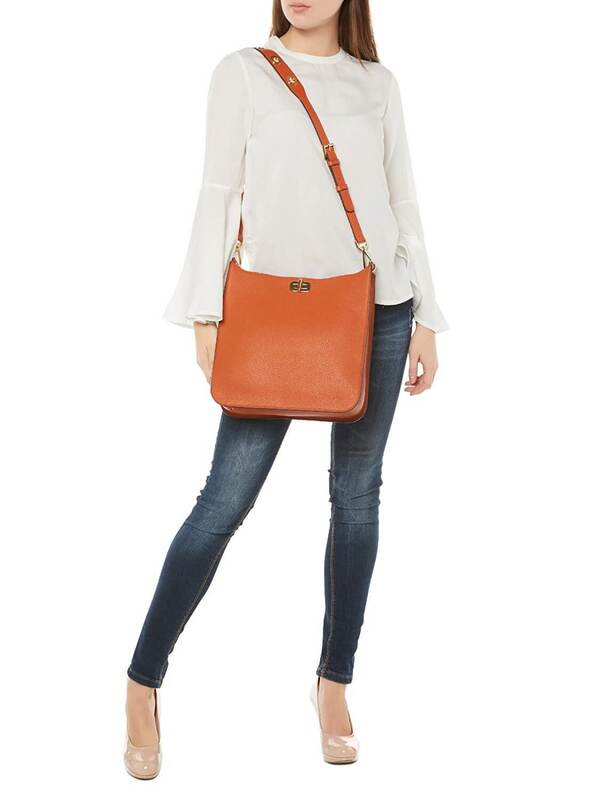 A small satchel plays nicely against a petite body type because it looks the most natural on one. A large and bulky handbag will look awkward against a petite frame, mainly because it will hang loose and bounce around. Even a medium sized hand bag will not look natural, as it won’t hang alongside the mid-section of a petite woman. The great thing about small satchels is that they can vary in size without compromising a touch of symmetry with a girl’s body type. A woman with a petite body type can wear everything from a wallet-sized satchel to a full-sized messenger bag and still look dignified and confident. This is the perfect look for petite women whether they are college students or business professionals. For the woman who flaunts a pear shaped-body type, a small clutch handbag can demonstrate a look of confidence while drawing attention to your figure. A smaller clutch handbag will draw the eyes upward towards a woman’s face while complimenting the body type well. Both small clutch bags with straps and ones without straps compliment a pear-shaped body type nicely. A pear-shaped woman will do best with a handbag that is high on the body and away from the hips. If a larger bag size is required, women with a pear-shaped body type cannot go wrong accessorizing with a satchel, as long as it has a short strap. The strap can also be detached if necessary and tucked under the arm. One of the most popular and trendy forms of clutch handbags is the envelope clutch bag, which has come into style now. A pear-shaped woman will look attractive, professional and in-style carrying an envelope clutch bag either under the shoulder or as an over-the-shoulder strap. 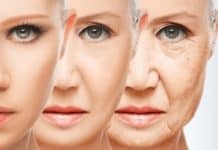 A woman with a tall and slim body type still has a lot of femininity and natural beauty to display, which can be exemplified by their choice of accessory. For example, a handbag that is boxy and misshapen can look awkward and clashes when laid against a slim body type. Therefore, it is important for the tall and slim woman to wear a handbag that forms well against the shape of their body. Unlike the satchels and clutch bags already mentioned, a tall woman should not opt for a small bag. That will create a strange and unnatural look that clashes with the smallness of the accessory and the tallness of the body type. The perfect sized handbag for a tall and slim woman is a medium-sized shoulder bag with a small strap. As mentioned, these bags will form nicely against the tall body type while showing off the woman’s figure with its slouchy nature that will form around their midsection. The advantage to these bags, which are sometimes referred to as “tote” bags, are that they can carry a lot more items than a satchel or a clutch bag. 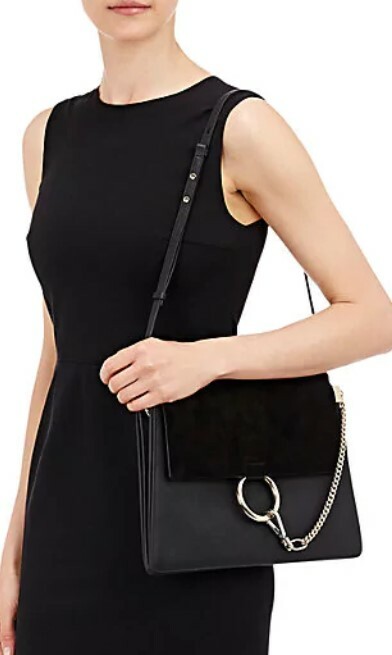 While women of all body types could opt to carry a bigger bag, the medium sized shoulder bag works the best at forming natural symmetry with a tall and slim woman’s figure, making it the perfect and functional choice of accessory. Women with a curvy figure are both blessed and cursed in the fact that there are many clothes to show off with, but few accessories that naturally accommodate their body type. For instance, the frumpy shapeless shoulder or tote bags might make the curvy figure look frumpy and shapeless as well. As the curvy body is eye-drawing and structured, it’s important to find a handbag that embraces and demonstrates these same characteristics. A solid choice of handbag for the curvy body type is necessary for flaunting off a nice, Rubenesque figure. The medium to large messenger bag is a perfect choice for a woman with a curvy body type. The standard clasp, or envelope-style structure of the messenger bag, shows off a structured figure. The strap of a messenger bag ensures that it hangs right at the woman’s midsection, which draws the eyes upward, similar to the pear-shaped woman’s clutch bag. The benefit of a curvy body is the benefit of drawing eyes towards one’s outfit and accessories. To achieve this, a curvier woman should opt for a more expensive option when it comes to their messenger bag. A high-end messenger bag from a trendy fashion merchant can be expensive, but worth it in the effort of completing a confident and radiant look. A large messenger bag can be a more utilitarian choice for everyone from younger to older professionals due to its larger size, which allows its user to carry more and look good doing it!